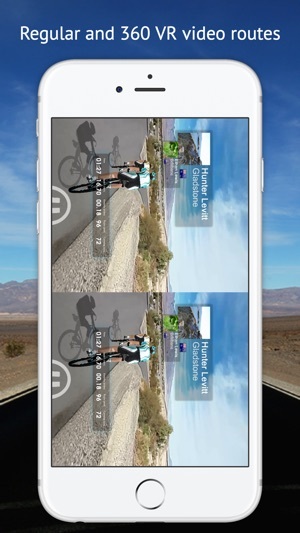 Enjoy world's only mixed reality biking app to ride real-world video routes. 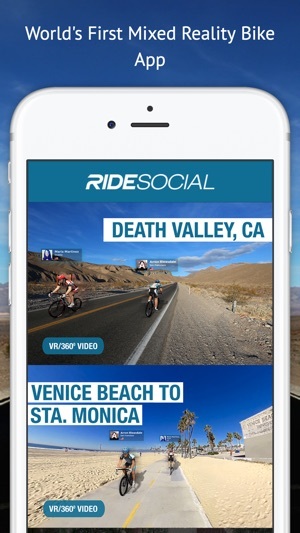 RideSocial is a free app that lets you select and install a selection of mixed-reality video routes from around the world. 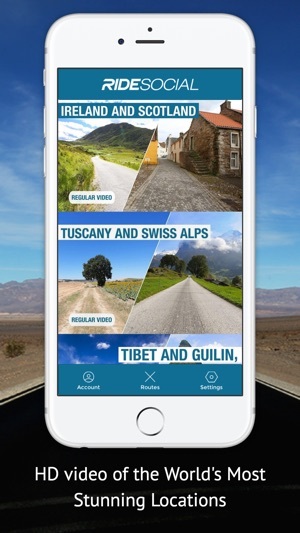 A number of routes are regular view videos you can see on your phone tablet or TV screen (using HDMI + the Apple AV adapter, or Apple TV). 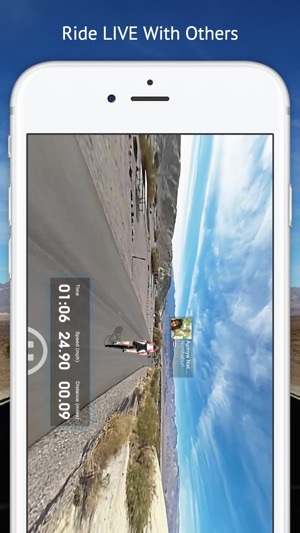 Certain routes are also in 360 VR so you can view them on a headset like cardboard. IMPORTANT: Please note that the VR and 360 degree video functionality is recommended ONLY on newer devices (iPhone 7 and iPad Air 2 and newer). 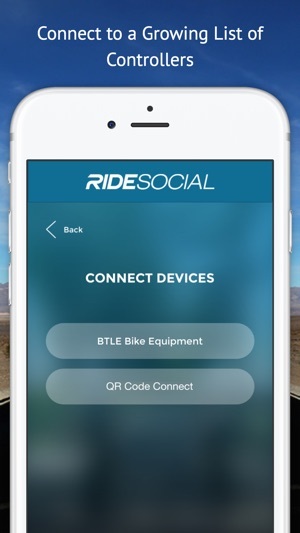 For tracking, RideSocial can connect via Bluetooth to compatible Schwinn indoor bikes. 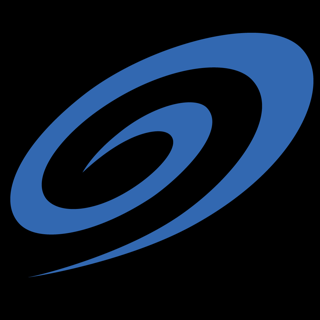 Additional compatible trackers coming very soon. 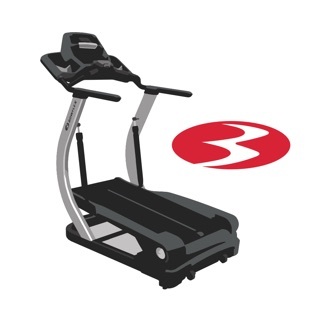 Manual speed input also available - just swipe up or down on the screen. This app has the potential to be amazing. If you use the regular video rides with a Schwinn 270 it is pretty cool. The reason I gave this two stars is the 360 videos don’t work. The company has been notified via multiple reviews since January and yet no fix. The 360 videos load, Then they disconnect immediately and the app quits. Paofit - It is time to start reading your reviews and fix this app. It could be amazing. The user interface is not good. I always have trouble syncing with my Schwinn 270. There is no indication of which rides you previously downloaded. The sceneries of the rides are boring. For example, the Southern California ride starts out in a desert so there’s nothing to see but dirt and rocks. The ride list shows me as”Me”, no name or country. App needs a lot of work. This app has potential of being good. However you will find most of the time you are riding with computer generated characters. There is no way, with my diverse schedule I keep riding with the same people. Also, when using a 360 ride it crashes often.